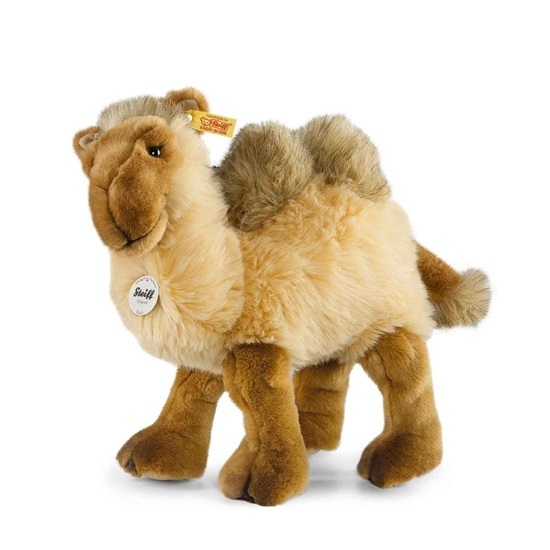 Meet "Kadir Kamel", a soft plush camel sure to be a hit with any young child in your life. Kamir has tan plush fur, with brown legs, and a brown face. His humps and tail are tipped in black plush. He is 12 inches tall and is machine washable. He has the yellow "button in ear" and is good for ages 3 and up.